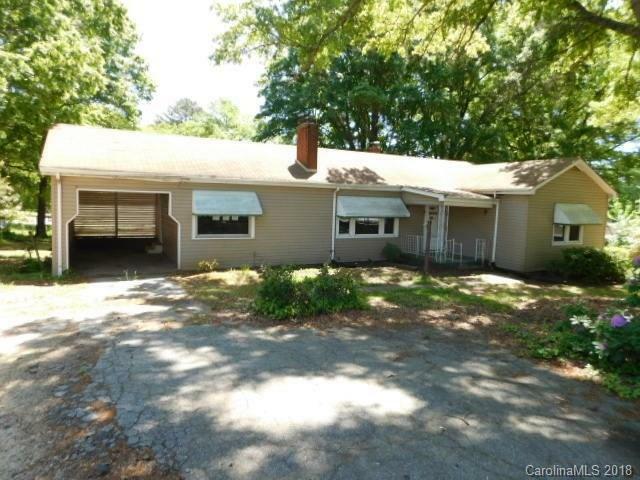 2 bedroom, 2 bathroom ranch home features open kitchen, living room with fireplace, some wood floors, wall to wall carpets, deck, porch, and 1 car carport. Home sits on 0.81 acre lot with mature trees. Property is owned by the US Department of HUD, case#381-874147, IE, Subject to Appraisal, Seller makes no representations or warranties as to property condition, HUD Homes are sold "As-Is, Pre-1978 Properties need to include the LBP (Lead-Based Paint) Notices, Equal Housing Opportunity, and Seller may contribute up to 3% for buyers closing costs upon buyer request. Offered by Benham Real Estate Group, Inc.. Copyright 2019 Carolina Multiple Listing Services. All rights reserved.